Of Algonquin origin, the name for the Waban-Aki Nation comes from the terms “W8ban” (white light) and “Aki” (land), meaning, according to anthropologist Frank. G. Speck “People of the rising sun” or “People from the East”. Following the different ages and usages, the name was spelled many different ways. However today, the name “Abenaki” is most often used to identify Odanak and Wôlinak community members, who make up the Waban-Aki Nation in Quebec. Proud of their cultural heritage and language, the Abenaki people also identify themselves as “W8banakiak” from the “W8banaki” Nation. This etymology is derived from one of the oldest Aboriginal language forms, or the symbol “8”, expressed through a nasal “o”. 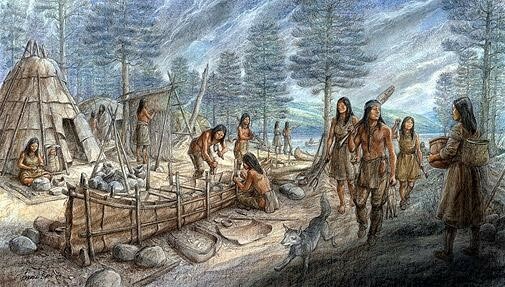 Upon the arrival of Europeans, the W8banakiak people shared vast forest areas on the current territory of southern Quebec, the states of Maine, New Hampshire, Vermont and part of New Brunswick. In the 17th century, many villages dotted the W8banakiak territory. At that time, there were six main entities: the Canibas or Kennebecs, Pennacooks, Passamaquoddies, Penobscots, Sokokis and the Arosaguntacooks or Assagunticooks. There were also the Etchemins, whose name evokes the oldest W8banakiak people having access to the St. Lawrence Valley. Upon first contacting them, their population would have totalled around 26,000 individuals. American anthropologists tended to group them into a confederation, but overall it can be agreed that there were subdivisions into smaller or larger nations and that these represented brother groups. The W8banakiak people considered the forest as a living environment where the territory was associated with seasonal cycles. This space was virtually one with the natural environment, and the constraints from that environment determined the limits. The W8banakiak people cultivated the land in semi-sedentary villages located in forest areas. Their agriculture, mainly corn, required them to move their village after about fifteen years. They also gathered berries when the season and environment were favourable. Their living space was also limited to the vicinity of lakes and rivers where they had better access to wildlife resources. In winter, family groups could travel long distances to access remote hunting grounds far from the villages. Obviously, the presence of wildlife nearby their mobile camps was crucial to the survival of family hunting groups. It is important to understand however that only individuals physically fit participated in the major winter hunts. Other family members remained in the village, ate small game found in the area and the reserves from seasonal agriculture. Furthermore, when the W8banakiak people travelled over greater distances, it was usually done systematically and to the same places. Overall, survival still imposed restrictions on the comings and goings in the heart of the customary forests and trails marked out the by the Aboriginal traditional space. The W8banakiak people did not roam the vastness of the forest in search of food. Their semi-sedentary lifestyle made them somewhat inactive in their stationary villages and would become nomadic through the seasons. The W8banaki territorial space is also reflected in the organization of their society. As with most Algonquian groups of the forest, there were areas for small family hunting groups and a wider geographical area; for bands or village groups. Overall, the village had a much larger forest area than the small hunting group. This extensive environmental awareness, both spatial and social, was the basis for the concept of Nation within the Algonquian society. The limits of the territorial area of a Nation were established based on the presence of sufficient wildlife resources to ensure survival, but also on the ability of its members to occupy or defend the territory. It is important to understand however that the W8banakiak people were also farmers. The village was the Nation’s primary place of residence and the centre. The winter hunting grounds were in turn territorial margins and seasonal extensions of the village. The village itself was subdivided into huts that were home to an extended family typically composed of about 16-20 individuals. For the W8banakiak people, the concept of “small nation” was certainly suitable for forming groups of several families of hunters. In the 17th century, the numerous villages were part of a broader socio-cultural whole. The boundaries between groups, or nations by extension, were mostly delimited by the watersheds of major rivers. On the other hand, there were also commercial gathering places with other nations. These seasonal gathering places were usually located at a relatively remote water crossroads. In fact, the river systems of major rivers represented their communication channels. Although the W8banakiak people practiced subsistence agriculture in relatively permanent villages, seasonal nomadism, and by extension predation, remained essential to the survival of communities. Also, considering that a nation could be smaller or larger, the number of watersheds associated with one nation’s territory could vary. Obviously, the wildlife capacity of the environment was also a determining factor in the traditional representation of the territory. As early as 1604, even before the founding of Quebec, explorer Samuel de Champlain considered the Chaudière River (Kik8tegw) as a means of access to the W8banakiak (Etchemins) territory from the St. Lawrence River. Also, in 1629, Champlain clearly identified W8banakiak people located south of Quebec and with whom he negotiated. 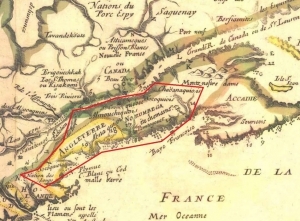 In fact, on a map published in 1632, an Abenacquiauoict village was located inland, near a tributary of the Chaudière River and north of the Kennebec River. Furthermore, in 1637 W8banakiak people were living in huts at the mouth of the Saint-Maurice River, an important area for Aboriginal Business. In the mid-17th century, certain groups are already well established on the south shore of the St. Lawrence River. In fact, in 1653, W8banakiak people, identified on a map as Almouchiquois (Eastern Abenaki) and Socoquiois (Sokokis), were located in the St. Lawrence Valley. Other historical sources indicate that in 1669 three winter hut villages were located at six, nine and twelve leagues from the entrance of the Bécancour River (W8linaktegw) located opposite Trois-Rivières. Further west, the W8banakiak people had occupied the Saint-François riverside (Alsig8ntegw) since at least 1676. Furthermore, at the end of the decade 1640, the W8banakiak people were present in the mission of Sillery (Mk8mki) near Quebec City. Until 1683, they settled there in large numbers, despite repeated epidemics. At that time, Wolves (Mahigan) and other Sokokis were also present in the St. Lawrence Valley. These were similar Nations which certain old records called W8banakiak “brother” groups. In fact, there existed an ongoing back-and-forth between the different villages of New England and those of the St. Lawrence Valley. The reason was the war, starting in 1675, with Anglo-American frontiersmen which encouraged migration. In 1685, Wolves were also located in the vicinity of Chambly, where they settled to cultivate the land. 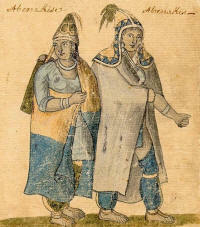 In 1683, a new mission dedicated to the W8banakiak people was created along the Chaudière River, opposite Quebec City. Sillery would soon be completely abandoned in favour of the Sault mission on the Chaudière River. The latter would be open for fifteen years before being closed in turn by the Jesuits. At the turn of the 18th century, the French founded two new missions at the centre of the St. Lawrence Valley. 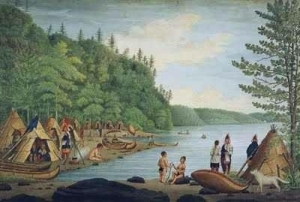 Through a series of alliances with the W8banakiak people, they strengthened their military presence, while solidifying the fur trade in the Trois-Rivières area. The territory of the Chaudière River however was not completely neglected by the W8banakiak people, especially as this river remains a natural pass linking the northern and southern parts of the Ndakinna. 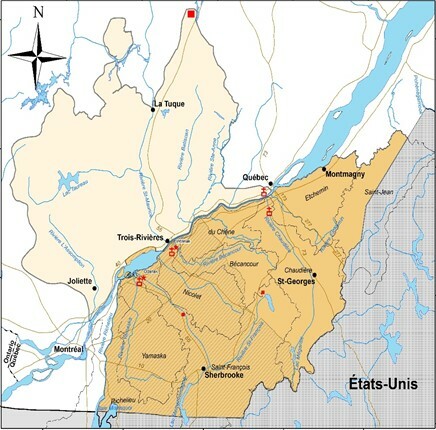 The two new missions, Odanak on the Saint-François River (1700) and Wôlinak on the Bécancour River (1708), helped various W8banakiak groups to consolidate within military villages and to establish themselves in the centre and south of the St. Lawrence Valley. At the same time, the French were also promoting the settling of W8banakiak people in Chambly, on the east bank of the Richelieu River (Masesoliantegw). In fact, a little further south, W8banakiak groups had occupied the vicinity of Missisquoi Bay (Masipskwebi) since at least 1680. During the following century, the French would periodically operate a mission. In 1738 Missisquoi had over twenty traditional huts, which represented around 400 W8banakiak residents. Moreover, as early as the 1670s, other Aboriginal people from various Nations settled at another mission on the west side of the Richelieu River, south of Montreal (Caughnawaga). Soon the mission would be home to Mohawks who quickly outnumbered other groups, as the site was located within the boundaries of Iroquois territory. The Richelieu River became a dividing line between their territory and that of the W8banakiak people. Moreover, certain islands in the Lake Saint-Pierre archipelago, then called “the Richelieu islands”, were subject to intensive hunting by the W8banakiak people. In fact, these islands are considered part of W8banaki territory. Even today, the Richelieu River forms the western border of the ancestral territory of the W8banaki Nation in Quebec. Thus, during the 17th and 18th centuries, in addition to the W8banakiak people already present in the St. Lawrence Valley, several groups from the southern part of the Ndakinna would officially migrate to the missions of the St. Lawrence Valley. In the mid-18th century, there were more than 700 W8banakiak people in Odanak, 300 in Wôlinak, 240 in Sartigan (Beauce) and around 400 in the Missisquoi region. There were also several hundred W8banakiak people from the US portion of the Ndakinna, who would settle in the St. Lawrence Valley. Around 1760, when the British took possession of Canada, the W8banakiak territory of southern Quebec extended from the Richelieu River in the west to the Montmagny area in the east. In the following century, however, the settlement in the Eastern Townships and elsewhere south of the St. Lawrence Valley would have the effect of restricting access to hunting grounds between the St. Lawrence River and the Canada-American border. Even the creation of a new reserve in Coleraine would not be sufficient to ensure access to hunting grounds south of the river. In this context, family hunting groups would have no other choice than to focus on the northern part of the St. Lawrence River. The presence of the W8banakiak people on the north shore of the St. Lawrence River extends as far back as the 1640s. At the time, the W8banakiak people from the mission of Sillery certainly had access to the forest on the River’s north shore. In fact, during the 1670-80 period, matrimonial alliances were formed between them and the Algonquian people of the Laurentian forest who frequented the mission of Sillery. As early as 1704, to justify their presence in the vicinity of Lac-Saint-Jean, the W8banakiak people claimed that hunting grounds in the Haute-Mauricie area belonged to them because of their alliances. Also, to access these more northern territories, the W8banakiak people of Odanak and Wôlinak would use the Mauricie area rivers. It is in the 19th century, however, that the W8banakiak people gradually extended their hunting activities north of the St. Lawrence River, primarily in the Lanaudière and Mauricie areas. Resident W8banakiak families began moving nomadically to various river watersheds, such as the Saint-Maurice River. Certain related small hunting groups also practiced more commercial activities in areas further north. At the turn of the 20th century, Aboriginal people facde a new form of ownership of the forest which tended to eliminate their hunting activities in favour of private hunting and fishing clubs. In fact, certain W8banakiak people would find employment with these private clubs, while others, by necessity, would work in logging camps. For the latter, industrial exploitation of the land certainly represented a different world compared to the traditional use of forest resources. Also, during this same period, the economy of the W8banakiak people was deeply transformed, making a prominent place for trade in ash baskets, whose manufacture would be of unprecedented scale. Claude Chapdelaine, Images de la préhistoire du Québec, Recherches amérindiennes au Québec, vol. VII, nos 1-2, Montréal, 1978, p. 43-54. “Algonquins” here mean the nomadic and semi-nomadic Aboriginal people of the forest, who are part of the same linguistic family and who generally share a similar culture. Sylvie Savoie, Les Algonquiens et la forêt québécoise vers 1600, Inverness, Projet Wataban, Conseil de Bande des Abénakis de Wôlinak and Université du Québec à Trois-Rivières, with the collaboration of Alain Cuerrier, 2004, p.13. Joseph-Pierre Anselme Maurault, Histoire des Abénakis: depuis 1605 jusqu’à nos jours. Printed at the typographical workshop of the Gazette de Sorel, Sorel, 1866, p. 5-8, Maurault mentions 7 large Abenaki tribes, including the Etchemins who spoke the Abenaki language. By Confederation, it is important to recognize a sociocultural whole rather than a political grouping as such. Paul-André Sévigny in, Les Abénaquis, habitat-migration 17e-18e siècle, Montréal, Bellarmin, 1976, p.87-88, mentions that it is important not to confuse the spheres of influence, which are common in the seventeenth and eighteenth centuries, with modern concepts of confederations, whether political or religious. Frigid mentality lends itself poorly to such unifying systems and only the European eye may perceive the application. Maurault (1845), Mission du Saint-Maurice, p. 131-132. F. Andrieux., J.S.M. Dumoulin, P. M. Maurault and E. Payment. Mission du Saint-Maurice. Rapports sur les missions du diocèse de Québec, 1839-49, 1851-63. Sylvie Savoie, op.cit. , p.102. Hunting for small game was also practiced along the way, during remote expeditions and nearby the seasonal camps. Joël Bonnemaison, La géographie culturelle, Cours de l’université, Paris IV-Sorbonne, 1994-1997, Paris, Éditions du C. T. H. S., 2000, p. 27. [Jésuites], op.cit. 1611. p. 1-16 and 1647, p. 53. Olive Patricia Dickason, Les premières nations du Canada, Depuis les temps les plus lointains jusqu’à nos jours, Sillery (Québec), Septentrion, 1996 72-73 and Roland Chamberland, op.cit. p. 153-204. Samuel de Champlain, Des Sauvages, presented by Alain Beaulieu and Réal Ouellet, Montréal, Éditions Typo, 1993, p .101, note 4 and Sylvie Savoie and Jean Tanguay op.cit., p. 30. Sylvie Savoie and Jean Tanguay, op.cit., p. 30-35. Sylvie Savoie and Jean Tanguay, op.cit., p. 32. Maxime Boily, op.cit., p. 46. 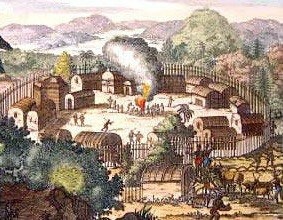 Between 1637 and 1689, there were nearly 1,500 Aboriginal deaths at the mission of Sillery. Ibid., p. 121 and Maxime Boily, op.cit. , p. 181. Antoine-François Prévost, Histoire générale des voyages ou nouvelle collection de toutes les Relations de voyages…, Livre III, tome 28, Amsterdam, 1774, p, 448-449. Certain islands of the Lake Saint-Pierre archipelago are considered part of the Abenaki territory. Mario Marchand, Le Ndakinna de la Nation W8banaki au Québec, Document synthèse relatif aux limites territoriales, Historical research report, Ndakinna Office, Grand Conseil de la Nation Waban-Aki, Wôlinak, Avril 2015. Sylvie Savoie and Jean Tanguay, op.cit. , p. 29-43. Frederick Lenox Ingall, op. cit., f°67, and Napoléon Caron, Deux voyages sur le Saint-Maurice, commented by Denis Vaugeois, Sillery (Québec), Septentrion, 2000, p.9. Frederick Lenox Ingall, op. cit., f° 50 et 69. Alice Nash and Réjean Obomsawin, « Théophile Panadis (1889-1966), un guide abénaquis », Recherches amérindiennes au Québec, vol. XXXIII, no. 2, 2003, p. 77.